Remember the days when cell phones were simply a device used to make calls and not the lifeline to a person’s everyday needs? Or when eyeglasses used to be just for seeing more clearly and didn’t feature built-in cameras that record everything from your point of view? These days, wearable technologies are covering consumers from head to toe. Whether it be smart watches and sleep headphones to fitness trackers and virtual reality headsets, the list of wearable gadgets is increasing rapidly, and the footwear industry is no exception in adding to this smart fashion movement. Just in the past year alone, Nike, Vivobarefoot, Altra and Under Armour launched smart shoe technologies. The list also includes niche players like Volvorii, whose high heels change color with a swipe or tap of the provided iOS/Android smartphone app. (Each pair is outfitted with a hidden circuit board that houses Bluetooth and battery components in the heel.) And E-Traces ballet shoes capture a dancer’s foot movements and transforms them into vibrant, multicolor digital drawings that can be viewed on the accompanying smartphone app. There’s also shoes by Lechal Haptic that allow the visually impaired to navigate via sensations transmitted to their feet. The shoes can also be used by anyone as a fitness tracking system for steps, calories burned, workout routines and even alert wearers via their smartphone if they’re near a point of interest and provide more information. Smart indeed! The category has come a long way since the Adidas 1, considered by many to be the industry’s first smart shoe that debuted more than a decade ago. Crafted with a microprocessor capable of making 5 million calculations per second, a magnetic sensor in the shoe’s heel area measured its compressions on impact while taking 1,000 readings per second. With that data, the shoe would automatically adjust to the ideal level of cushioning. While considered groundbreaking at the time, the $250 price tag coupled with no downloadable feedback to review proved to be its downfall. Nonetheless, the Adidas 1 marked the beginning of how technology could reinvent the shoe. And as new, more interactive technologies have come online and consumers have become more accustomed to using such devices, industry experts believe that the smart shoe category is only in its infancy and the potential for growth is substantial. In the meantime, plenty of smart shoe technologies are already in play. For example, Nike’s latest introduction, the HyperAdapt 1.0, caused quite a stir when it hit the market last fall as the first-ever performance shoe featuring adaptive lacing. Tiffany Beers, senior innovator for Nike and the project’s technical lead, explains that when the wearer steps into the shoe, the heel hits a sensor and the system automatically tightens. Two buttons on the side tighten and loosen, providing an optimal fit. In addition to the customized fit, the company claims functional simplicity reduces a typical athlete concern—distraction. Taking customization a step further, Nike recently filed a patent that involves implanting a fitness tracker into the sole of a shoe that would transmit data to a mobile device. Some reports suggest the shoe could collect finer information than the speed, distance, direction, altitude and steps measured by other fitness trackers. The device could also be a potential upgrade from the company’s Nike+ fitness tracking brand that currently involves technologies outside of the shoe. A shoe with an integrated fitness tracker, for example, could appeal to those who want to track their run free of any devices on the wrists or in their pockets. Along similar lines, Under Armour’s Connected Footwear smart shoe technology, which debuted in stores last month, is designed to “revolutionize the way athletes train and recover.” The record-equipped running shoes (UA SpeedForm Velociti RE, UA SpeedForm Gemini 3 RE and UA SpeedForm Europa RE) are exclusively powered by MapMyRun, Under Armour’s global digital running community. It enables runners to track cadence, real-time pace information and the mileage lifetime of the shoe with the added benefit of never needing a recharge. In addition, the technology provides insights into muscular fatigue—a new “smart” element that helps prevent injuries. Dubbed the Jump Test, it scientifically measures and averages air time of a sequence of jumps as an indicator of muscle fatigue. It helps track an athlete’s recovery status over time and provides immediate guidance on how to alter the intensity of the workout. “We know one of the biggest problems runners face is pushing through pain and fatigue, leading to injury,” says Mike Lee, chief digital officer for Under Armour. “The Jump Test in MapMyRun is a critical first step for runners and will help avoid the training hangover many athletes face by giving them awareness into their ability to perform.” Under Armour reports that consumers are excited about the fusion of technology in footwear, and the company’s new launch has been well-received. Company execs also are confident that as consumers become increasingly interested in tracking their fitness, devices that can do so will generate interest and sales. Vivobarefoot’s partnership with Sensoria, a manufacturer of smart socks, hopes to achieve just that with the incorporation of its microelectronics capabilities into its (aptly named) Smart natural running shoe, outfitted with sensors throughout and a small computing cube on the heel. The technology monitors speed, pace, cadence, GPS tracking, foot landing technique, time on the ground, impact score and—down the road—asymmetry and toe engagement in real-time. The overall aim, says Galahad Clark, founder of Vivobarefoot, is to guide people to healthier movement. 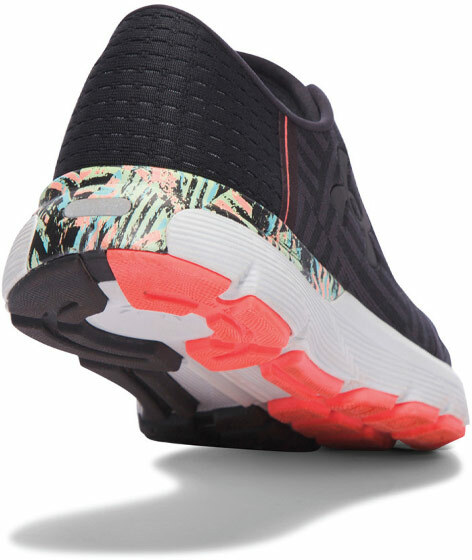 “Healthy movement is one of the most ancient human rights in existence,” he says, adding, “We have a big rational point to prove against the conventional wisdom of the padded shoe industry.” Clark says the challenge of incorporating this sensory technology without much midsole room was an issue that, in the end, improved upon the design concept. “We found the socks weren’t quite accurate enough to be a valid coaching tool, and the technology is a bit more robust in the form of a shoe,” he says. As for the response to date, Clark reports that a select few retailers have picked up the style (suggested retail is $600) and it has sold well. However, he isn’t shy in addressing the struggle of releasing new product so different from the norm. “Most of the industry doesn’t like (natural motion footwear)—it’s against conventional wisdom,” he says. “In fact, it’s the opposite paradigm of most Shoe Dogs: the silver bullet is not the shoe, it’s you.” In addition, Clark believes there’s great fear that the smart shoe category will “drown the public in data and starve them of wisdom” as seen in the medical industry, for example. Still, he believes the technology—used correctly—can be a powerful tool to bring back healthier movement. He cites modern science’s rediscovery that certain levels of stomach bacteria as being healthier than loading up on antibiotic drugs as a relatable, “ancient wisdom” example.